Located within the picturesque countryside of Kritika, the Sirene Beach Hotel offers comfortable accommodation and a wide range of facilities, such as a 24 hour reception. It offers expansive countryside views and 4-star rooms. 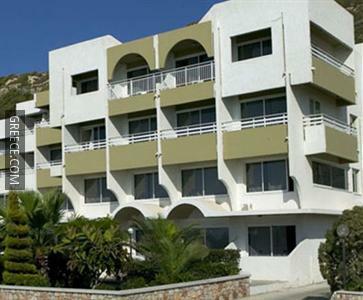 The Sirene Beach Hotel has 7 rooms. Diagoras International Airport is under a 20-minute drive from the Sirene Beach Hotel. Guests can find lots to see and do in the hotel's surrounding area, with the Aquarium of Rhodes and the Palace of the Grand Master of the Knights of Rhodes within 10 minutes' car ride away.